Do you suffer from a dental phobia or an intense fear of getting dental work done? This is not uncommon. Many people are fearful of the dental chair and the potential pain or discomfort that can accompany it, but modern medicine has allowed for the many dentists to practice sleeping dentistry (sleep sedation) that gives patients the chance to sleep right through their dental treatment. At Carson & Carson, we offer both IV Sedation and IM Sedation to our patients so that you can have a pain free dental visit you that won’t even remember! Our dentists are available 24 hours a day to treat any dental emergency. Call us today to request a consultation for sleep dentistry with the Oxnard Dentist with over 4 decades of experience offering dental treatment. Both of our dentists Dr. LeRoy Carson and Dr. Derek Carson are certified by the State of California Board of Dental Examiners and are experts in sedation with decades of experience ranging back to 1994. Additionally, our dentists are both board certified conscious sedation examiners & evaluators. With decades of experience in oral sedation dentistry, our dental team can offer you a safe and relaxing alternative to being awake during your dental treatment through IV or IM Sedation. With over 45 years of experience serving Oxnard, you can feel confident that you are receiving care from some of the most accomplished and trusted dentists in the Los Angeles & Ventura area at Carson & Carson, DDS. Our dental team believes that every patient deserves to be relaxed and comfortable when receiving dental care. So, we offer sleep dentistry sedation for a large number of procedures including root canals and our pediatric dentistry services. Find out today if oral sedation dentistry is the right option for you. There are different types of sedation that can be used to achieve the painless state of sleep sedation dentistry. Using Intramuscular Sedation (IM) is one technique in which often is used in place of offering oral medication to a non-compliant patient or child. IM injections require a larger muscle mass such as the upper thigh, buttocks or upper arm. Another method commonly used is Intravenous (IV) Sedation. In this procedure at least three liters of oxygen per minute titrate slowly with a general anesthetic until the patient is sedated to the point of no memory and has no fear. The patient then falls into a verbally arousable state of light sleep known as twilight sleep. This type of sleep is not true unconsciousness, but rather an amnesiac state where the patient experiences a highly reduced sensitivity to pain. The pulse rate, blood pressure, oxygen saturation, and respiration rate are all monitored closely during & after the procedure to ensure the safety of the patient. 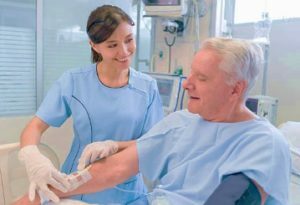 IV sedation is one of the most effective techniques in relieving dental anxiety for patients and is administered intravenously. It is the preferred method and is administered directly through the veins providing rapid sedation. Another preferred solution is IM Sedation which is administered intramuscularly with a shot into the muscle. 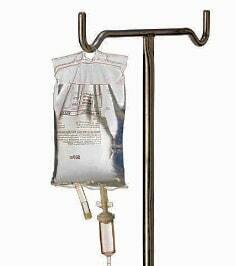 IM Sedation is the go to option when IV is not available, but it is generally less controllable than IV Sedation. This method of sedation is ideal when you are too anxious, fearful, or uncooperative for a dental procedure. Both of our sedation dentists are licensed and experienced with successful procedures dating back as early as 1994. This is Dr. LeRoy K. Carson’s IV sedation license. This is Dr. LeRoy K. Carson’s appointment as an IV sedation evaluator for the State of California. Every IV dentist is required to be evaluated every five years in office. We pass these evaluations with flying colors every time & you should expect no less from any sedation dentistry. After the dental care is complete, the IV or IM medication will wear off, and the process of returning to a state of alertness is monitored by the administering dentist and qualified dental staff. All localized anesthesia and shots are completed after the patient is sedated. Don’t let pain or fear keep you from having a great smile. Find a dental plan that suits your needs the best with the wide selection of services offered at Carson & Carson Dental office in Oxnard or Camarillo, California. To discuss the process, pricing, or more information on our use of sedation in sleep dentistry, please call our Oxnard office today at (805) 983-0717.